Eeks! Sam is gonna be so spoiled. TGIF by the way... it has been a looooooong week. Very glad to see today. Looking to get some painting done in the nursery this weekend. More on that later! 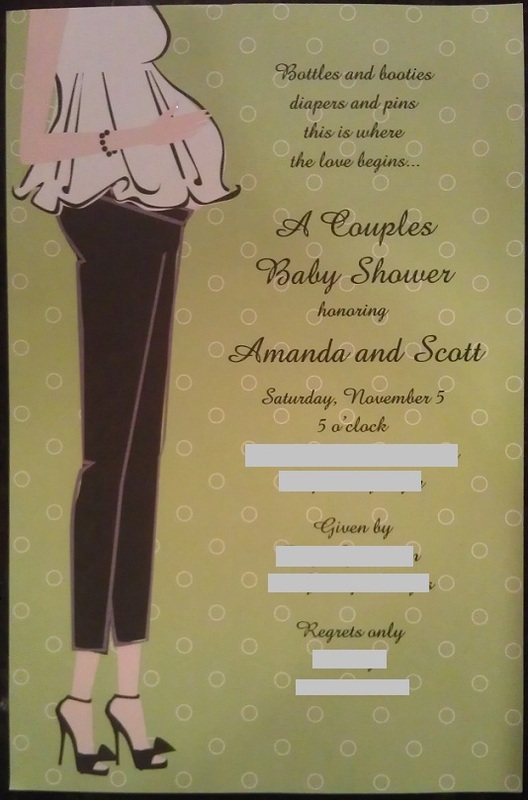 That is such a cute invite! I got the adorable blue bow one yesterday- so cute too. You are one lucky lady, little momma. Be sure someone takes lots of photos of all your goodies so I can see it all. So exciting! I have my first one at the Swan House that Saturday! I'm super pumped!